At E3 this week Microsoft unveiled its newly updated Xbox 360 E games console which sports a new outer design together with a few tweaks and enhancements. However even with a new outer design the Xbox 360 E’s hardware specifications are nearly identical to those of the Xbox 360 S.
To see what makes the new Xbox 360 E tick the team of iFixit have already been busy with their screwdrivers and stripped down the Xbox 360 E console revealing its inner workings to the world. Microsoft’s marketing and strategy officer, Yusuf Mehdi unveiled the new Xbox 360 E and e-affirmed Microsoft’s long-term commitment to their Xbox 360 even after the next generation Xbox One has been announced. 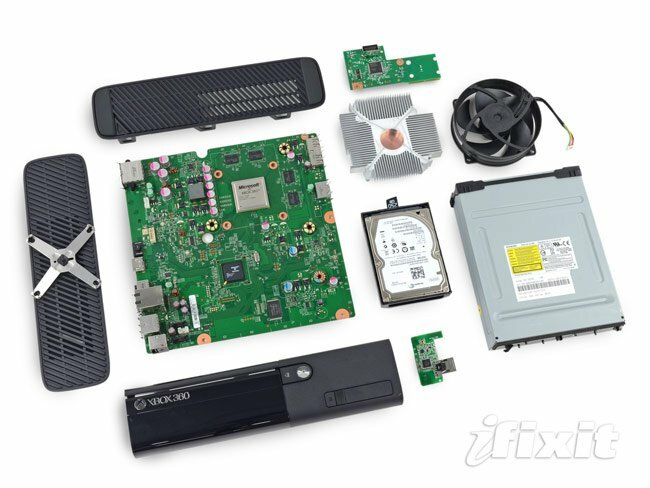 To view the complete Xbox 360 E teardown jump over to the iFixit website for full details.